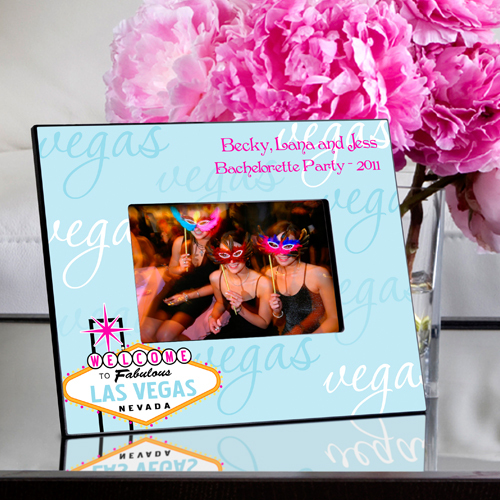 * She love to display the great memories from your Las Vegas bachelorette party or girls get away with our Personalized Gals Las Vegas Picture Frames. * The frame makes a perfect bridesmaid gift or a fun keepsake for your girlfriends. 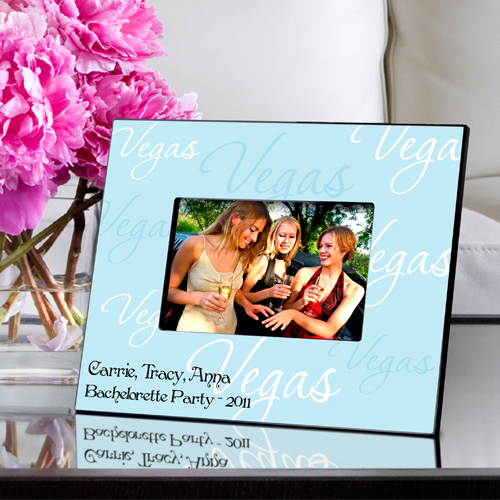 * There are plenty of ways to highlight that favorite Vegas picture as the frames are available in two styles and four color combinations. * There's one for every décor and personality! * Select design and personalize each line with up to 30 characters per line.